Orca Aware: Learning from Lulu: The death of an orca – a sign to clean up our act? Brownlow is a veterinary pathologist with Scotland’s Rural College and head of the Scottish Marine Animal Stranding Scheme (SMASS). 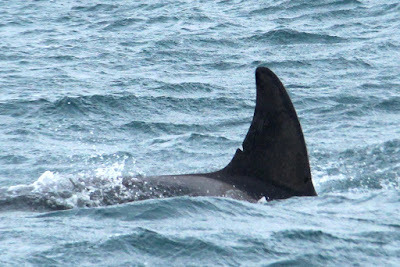 He was referring to “Lulu” who, until her death, was a member of the UK’s only resident orca population, known as the West Coast Community. This Community is dying; there are just eight individuals left. Lulu was found entangled on the shores of Tiree, Scotland in January of last year. A necropsy was performed on her body and the results confirm the terrifying truth: We are living beside a contaminated ocean. A shocking 957mg/kg of polychlorinated biphenyl (PCB) contaminants were found in Lulu’s body. To put this into perspective: As little as 20-40mg/kg of PCBs are believed to cause significant physiological damage, and Lulu’s blubber contained 100 times more PCB contaminants than is the accepted toxicity threshold in marine mammals. Her blubber was packed with 957mg/kg of pure poison. Although the production of such deadly substances is now heavily regulated, they are still leaching into the natural environment. Once there, the contaminants bio-accumulate up the food chain until the animals at the top, like orca, are carrying heavy chemical burdens. These high levels of toxicity can leave orca in poor health, infertile and in some cases, dead. SMASS, the organisation which carried out Lulu's necropsy, reports that Lulu never produced a calf in her short lifetime; this is despite the fact she was at least 20 years old when she died. Regrettably, Lulu's pod haven’t been sighted with a calf for over two decades. It is possible that it is the impact on health and reproductive fitness from these chemicals that has sealed the fate of the culturally unique West Coast Community, setting them on a path to extinction. With Lulu's death, human involvement was a double-edged sword. Experts claim orca are an intelligent, agile, communicative species, very rarely becoming entrapped. However, despite this, Lulu's ultimate cause of death was entanglement in discarded fishing line. It is speculated that the toxins within her body may have debilitated her, impacting Lulu's ability to free herself from the lines. Sadly, many other marine animals are killed in this way. 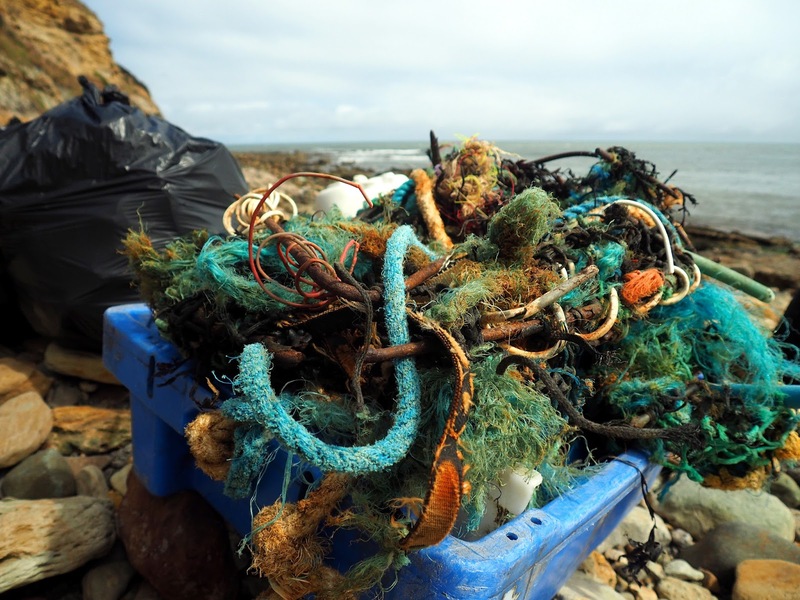 Last year in England, Scotland and Wales, 33 whales, seals and seabirds were found entangled in discarded man-made materials, with a further 21 entangled marine mammals reported during the first four months of 2017. Just this Friday, Orca Aware’s sponsor charity British Divers Marine Life Rescue attended a recently deceased young grey seal entangled in plastic; another indication of the sorry state of our oceans. As if PCB contamination and hazardous discarded gear aren’t bad enough news for the marine world, we are amidst a global plastic pollution crisis too. Not only does plastic also leach toxic chemicals when it breaks down, but it is estimated that by the year 2050, at current production rates, the plastic in the oceans will outweigh the fish. Along with entangling marine life, plastics have been found inside the stomachs of whales, dolphins and other animals, from whole plastic bags to tiny plastic fibres. And we’re ingesting plastic as well; up to 11,000 pieces each year, in the seafood and salt that we eat. While much more can and needs to be done, the outlook isn’t as murky as our polluted seas. More and more large organisations are being rallied to tackle their environmental footprint. The United Nations has pledged to take action against plastic waste, usage of PCBs and their disposal. Disposal is becoming more heavily regulated and innovations are cropping up worldwide to reduce production, consumption and circulation of these indestructible materials. 1. Think twice about what you buy and where possible, avoid purchasing items wrapped in packaging. 2. Cut out "disposable" plastic items such as straws, coffee lids, bottles and bags. Learn more about reducing your plastic waste here. 3. Familiarise yourself with your local recycling collection and always try to recycle your waste. You can also dispose of electrical items at designated sites rather than landfills; these are ones that leak chemicals such as PCBs to the surrounding environment. 4. Don’t litter. You wouldn’t use your sitting room floor as a bin, so why use our planet’s floor? After all, it is all our living space. 5. Take action! Organise beach cleans and sponsored awareness events, support environmental charities and simply just spread the word. You can also encourage friends, family, colleagues and your local council to adopt more sustainable practices. Lulu's death symbolises our urgent need for mindful action, to counteract the harm we have already caused through ignorance and inaction. We didn't know how PCBs and other materials would impact the oceans, but we do now. The fact can no longer be brushed under our carpet of plastic and toxic compounds. Scientists estimate we are on the cusp of irreversible environmental damage, with our oceans (and our world) at stake – and time itself may be running out. In the words of J.R.R. Tolkien, what we now "have to decide is what to do with the time that is given us." And what we might learn from Lulu is that we need to act today. 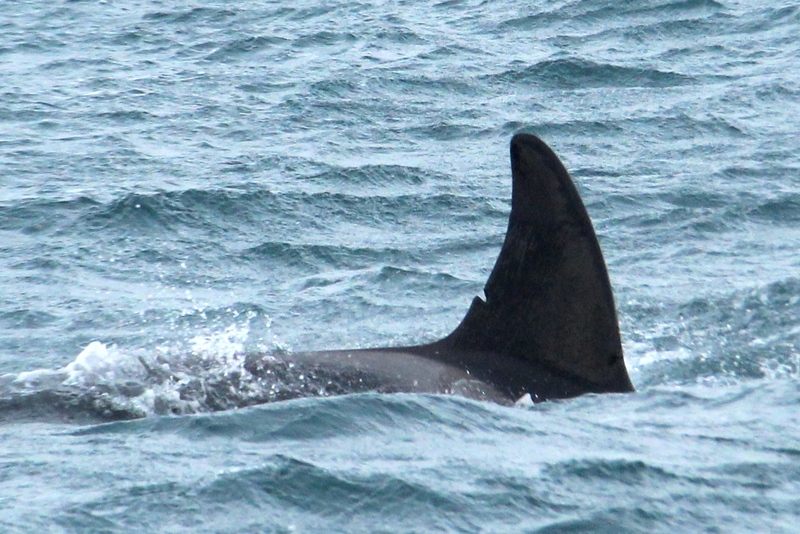 Find out more about how chemical pollution impacts orca by reading our article: Polluted Orca – How Chemicals Are Killing the World’s Killer Whales. Another concern is that the city of Victoria on Vancouver Island in BC Canada does not have sewage treatment and has been dumping their raw sewage into the ocean for many many years, at massive volumes, and increasing along with population growth. There are many Orca Whales in the vicinity of this. I live in the San Juan Islands (US) near Victoria. We have the Southern Resident matriline here, there are only 88 remaining. There are additional matrilines in our area too. Unfortunately, all of them are existing in Victoria's raw sewage.